Some days hit us hard and leave us with a lack of motivation to continue on. We try to be positive when frustrations come our way. We try to find a fresh focus, knowing God is working even through things that just don’t make an ounce of sense. We try to find hope, even when the future is dark. We strive to feel God’s presence in the waiting. Some days just drench us in negativity and weaken our worn out hearts. In the consistency of the mundane struggles it is a constant battle to find strength and motivation to continue on. It takes effort and endurance to keep a mindset that is focused on God and not focus on all that seems wrong in our lives. My life has been far from perfect recently, but even amidst the raging chaos of my mess, I felt God was supplying me with strength and helping me try to keep a positive perspective. It came to a plundering nosedive when emotions came rushing back in of discouragement, frustration and impatience for God to fulfill the longing desires I’ve been seeking to give Him. Sometimes it feels as though it takes so much effort to stay focused and keep trusting. Days come that just trip me up and pull me right back to feeling discouraged and run-down from constantly trying. To be honest, I’ve grown tired. Tired of living for God in a world that takes Him out of everything. Tired of doing the right thing against the opposing current of the world. Tired of trying to encourage when I feel overlooked. Tired of getting “no” answers to my prayers. Tired of feeling like God is silent. Tired of feeling like my life is meaningless. Tired of feeling invisible. Tired of waiting for great things to happen. Tired of enduring through trial after trial, with no end in sight. 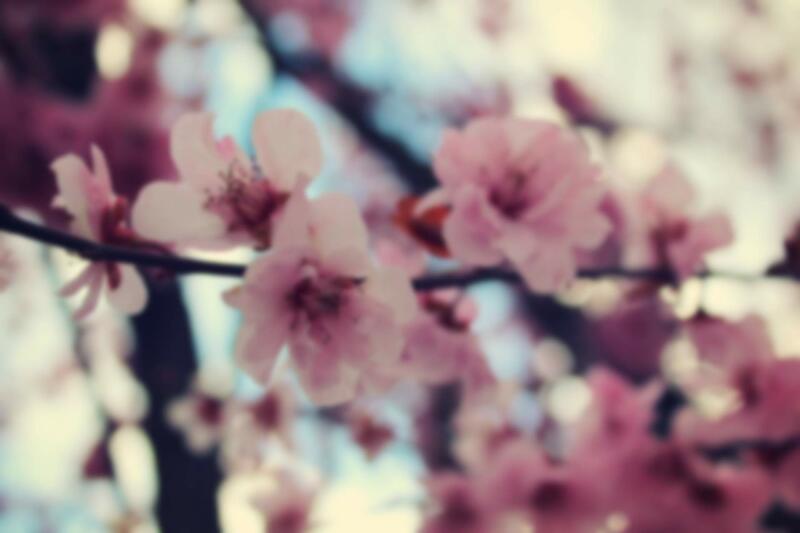 I’ve been earnestly trusting God to provide, but there are times that I grow so impatient. I am worn out of the waiting. The constant wondering if He will ever finally provide for my desires. It causes a deep ache in my heart to see others so easily getting their desires met, while mine feel like they’ve been cast to the side and never treated with the same importance. Maybe you’ve grown weary in the waiting and feel like you’re surrounded by the deafening silence. Maybe you’ve grown tired in pressing on and continuing to fight day after day with no end in sight. Maybe you are tired of hoping for God to work, and it seems like every day is filled with the same mundane tasks. Maybe you are lost and seeking for direction on what God wants from you. God supplies all of our needs, probably thousands more than we may ever be aware of. God’s timing is flawless and shouldn’t be questioned or tampered with. God is working in the silence, that’s usually when He works in us the most. God has purpose for where you are right now. You’re there for a special reason. God uses even the most mundane of tasks to strengthen our character. God is attentive to our prayers, not one of them is forgotten or missed. It is impossible for God to ever fail us. Trials aren’t punishment, but opportunities that God wants us to draw closer to Him. If God is saying “no” or “wait,” He isn’t withholding something beneficial from you, but rather protecting you from something that could possibly be hurtful or harmful. God’s future for us is perfectly planned out, nothing is out of place. Satan uses any opportunity to get us discouraged, but God desires to give us hope. The righteous cry out and the Lord hears them; He delivers them from all their troubles. The Lord is close to the brokenhearted and saves those who are crushed in spirit. We may not understand the reason for our current circumstances and the incessant wait we are enduring through, but we do have God’s promises and truths to provide us with peace amidst the uncertainty. Knowing that God’s got it all under control and is working things out, allows me to find rest and relieves me of the insurmountable pressure to take control. Whatever struggle you may be feeling engulfed in, remember that God is near. He’s got this all under control, and when you’ve done all you can do, you simply just need to seek after Him and trust that He will lead you when His timing is right. Dear Lord, I may not understand the purpose for the circumstances you have placed me in, but I trust that You’ve got it under control. Give me the strength to let go and hand over my desires to You so You can direct me and lead me right where I need to be, in Your perfect timing. Remind me that even when the waiting gets long, You are using this time for something of great purpose. Give me wisdom to use my life right now for Your glory. Help me to find contentment in my present situations and remember that You are working even in the silence. You remain by my side even no matter how dark the road gets. Keep me focused on You and not lose sight of the end goal. Reveal to me what you desire to teach me during this waiting period and strengthen my relationship with You. Help me to overcome the wait and come through it strengthened and refined. When We Ask God Why? Sometimes life leaves us asking questions and wondering what God is doing. 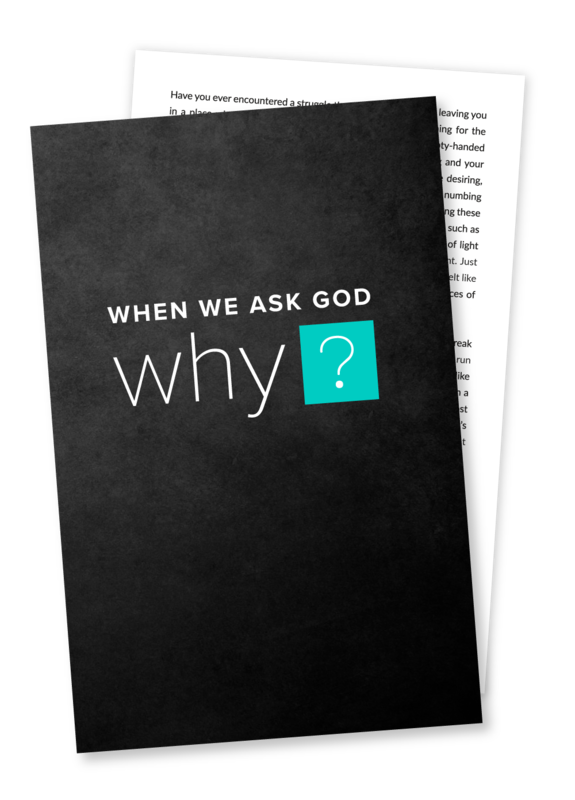 If you’ve been asking God “Why?” recently I hope my latest 35 page study could be of encouragement to you! Click the button below for more details!